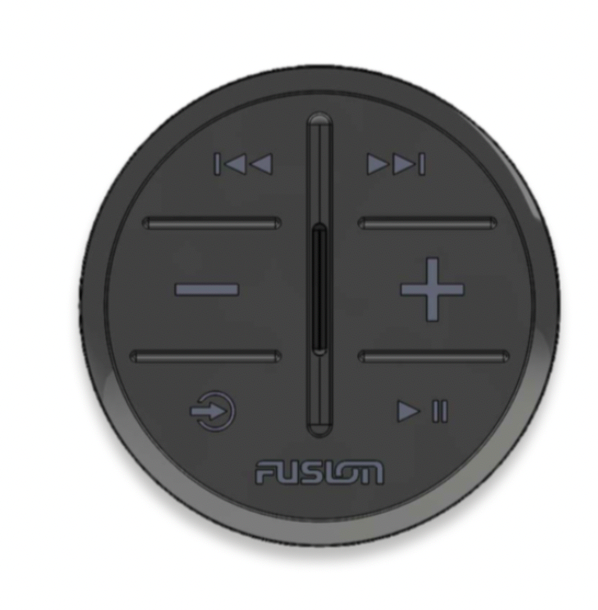 FUSION announced today the release of the ARX70 ANT Wireless Stereo Remote. The new, easy-to-install remote gives users the freedom to control their FUSION ANT-enabled marine entertainment system from anywhere on the boat. The compact, low profile design, IPX7 water resistant design matched with a 1-year battery life of the ARX70 allows it to be installed wherever is most convenient without cutting holes, running wires or tools required, simply place, pair and play. FUSION’s Multi-Zone technology within its stereos allows you to create multiple independent audio zones, so you can enjoy different music in every area of your vessel. The ARX70 can interface with compatible FUSION stereos and act as a media controller for a single zone at one time, with the ability to cycle through all independent audio zones for global control. Multiple ARX remotes can be installed across the boat with one or more in each zone giving more control options on board than ever before. Easy to use, the rubberized tactile buttons ensure a no-slip grip, while the LED lights in the light-bar provide essential user feedback. Available in white or black to blend seamlessly with any vessel aesthetic, the ARX70 is battery-powered and easy to mount using a semi-permanent VHB tape adhesive that doesn’t require any drilling, screwing or running cable. The ARX70 is powered by a CR2032 battery, with a typical 1-year battery life. The battery is easily replaceable making the ARX70 simple to maintain. Rated IPX7 water resistant, the ARX70 can be installed in dry or wet areas, ideal for installation on the swim platform, bow or transom. For more information on the ARX70 or FUSION’s entire line of audio products, please contact 623-580-9000 or visit www.fusionentertainment.com.